This painting was indirectly inspired by Picasso, who used bits of magazines and news papers in his collage pieces. Since I prefer realism, I decided to use that technique in a multimedia piece featuring a subject I knew – puppies. What better to accompany news paper, than puppies? 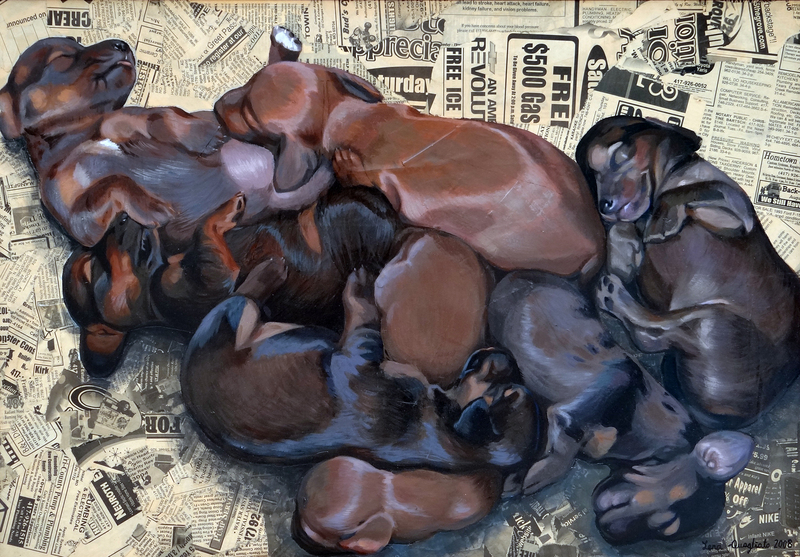 As for the arrangement, I wanted to capture the way that puppies sleep in a pile fitting into each other like puzzle pieces. It made an excellent bedroom decoration.